A plentiful buffet breakfast is served daily in the breakfast room and guest can choose from cornetti (croissants), hams, cheeses, fruit and various other classical Italian pastries. Coffee, tea and fruit juices are also available. Reservations are guaranteed by credit card but no money is debited at the time of booking. When you come to check out you can pay with cash or most major credit cards. Does the Hotel Milani have air conditioning? Is there a fee for this? Yes, the entire property is air conditioned and no, there is no supplemental fee for this. Do all the rooms have en suite, private bathrooms? Can you give advice and recommendations on where to eat and what to do in the immediate vicinity? Certainly, we'd be glad to! Do you have any self-catering apartments? No, unfortunately not, just hotel rooms, though you're welcome to bring food up to the room. Are there amenities in the local area? Yes, around Termini Station you'll find everything you could possibly need including a supermarket, banks, a 24 hour pharmacy, a post office, shops and even the HQ of the Italian Automobile Society. 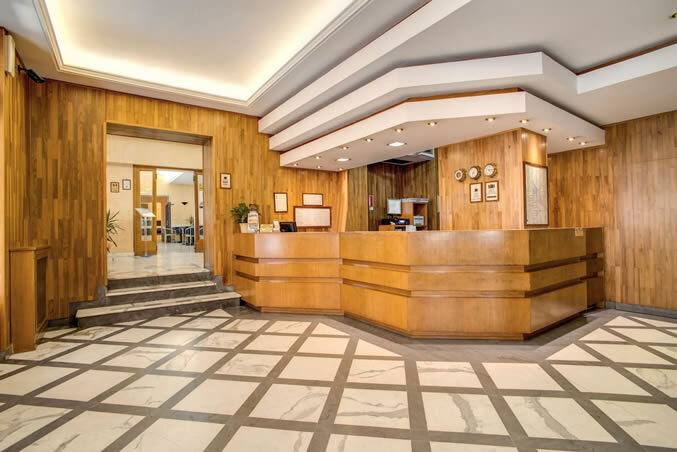 Can I get internet access at the Hotel Milani Rome? How much does it cost? Wireless internet is available to guests at the rate of €1 for 30 minutes or €5 for eight hours. Yes, all the prices you see in our Hotel Milani Online Booking pages are the prices you pay, inclusive of tax and breakfast.